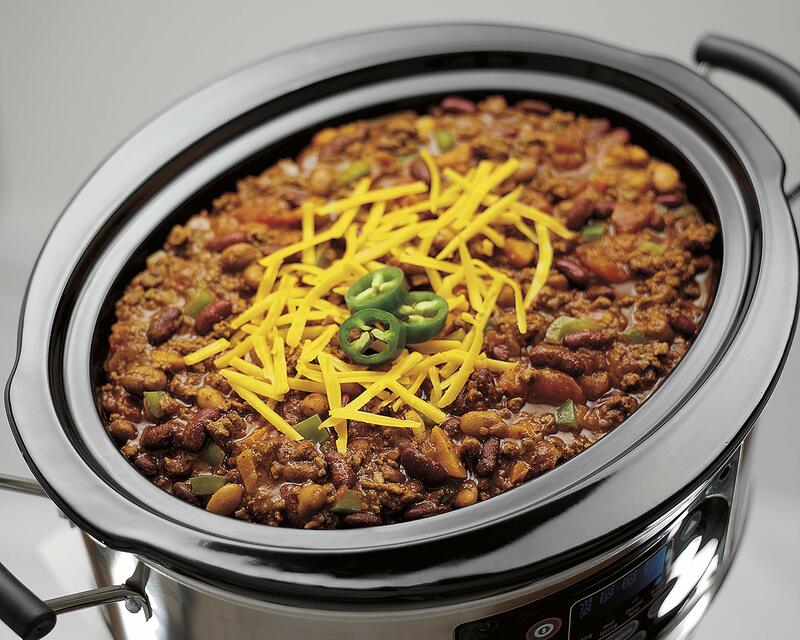 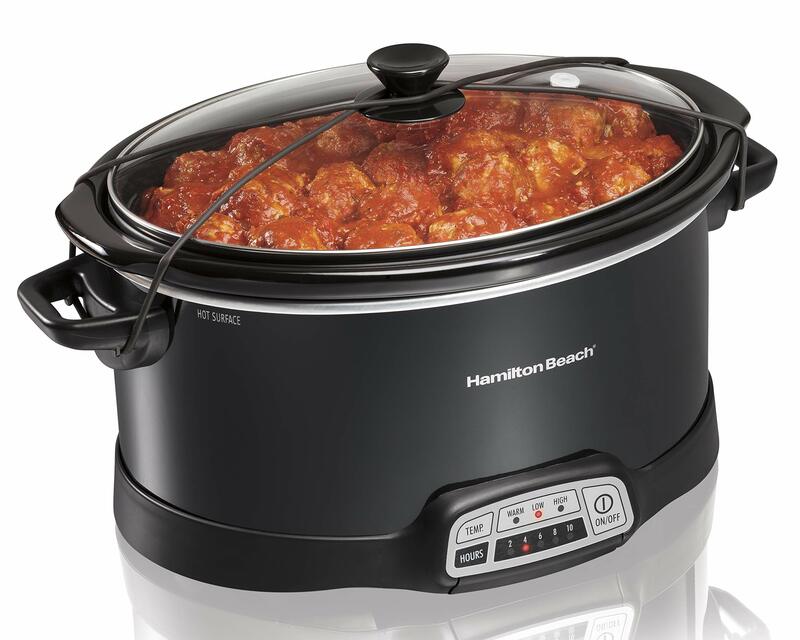 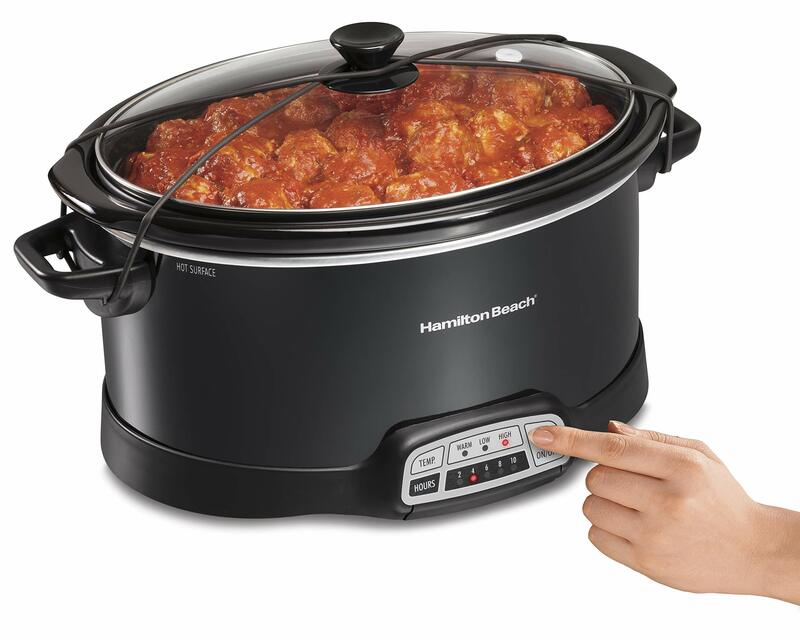 With the Hamilton Beach Programmable 7 Quart Slow Cooker, making a delicious, home-cooked meal is as easy as putting a few ingredients in the crock and turning it on. 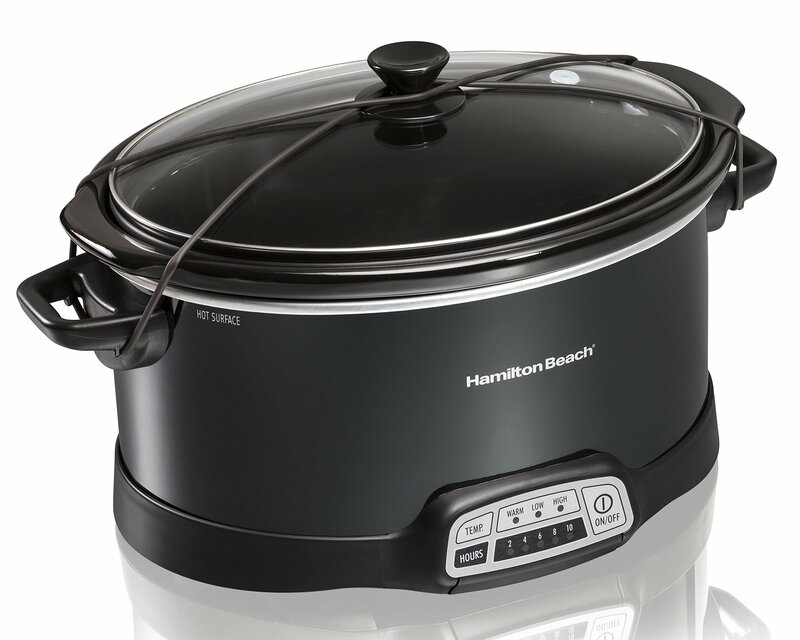 Its large capacity and oval shape make it ideal for cooking a whole chicken or roasting meat to perfection. And with more programming options than Crock-Pot Smart-Pot, this Hamilton Beach slow cooker gives you the ultimate selection of temperature and cooking time combinations.